Solar Pool heaters are amazing products that can transform how you use your pool. When working in conjunction with a solar pool cover they can save you thousands compared to a regular propane or gas heater. They are a great investment, as they accentuate the natural sunlight and use heat from the sun which is more cost effective and better for the environment than burning gas or propane to heat your pool. Many people who are considering investing in a solar pool heater are reluctant as they’re unsure how they work. They can seem very complex, but in reality they are quite simple and can achieve amazing results. These clamps are designed to expand and contract in order to give the solar panels room to move and angle themselves towards sunlight. These will be added to your roof or sunny spot – wherever you choose that to be and then secured in place to ensure that you get the maximum sunlight. These will transport the water that will be heated by the solar energy, and are connected together by a panel clamp gasket that optimizes energy harvesting and protects your roof. A panel clamp is then added over the top and bottom to secure everything in place, with a gator clamp over the top. The water is then ready to run across the PVC Pipe, harvesting the sun’s energy as it goes. The solar panel works by converting the sun’s energy into electricity which is then transported to your swimming pool. The solar collectors harvest the sun’s energy and create heat which is then used to heat the pool water. Pool water is transported via a feed line from the pool which then runs through the PVC Pipe connected to the solar panels and back to the pool via a return line. And just like that your pool is heated! The solar energy from the sun will allow your pool to stay warm, and when the sun goes in you can use a pool cover to retain the heat. You can also use a standby generator to store your energy. 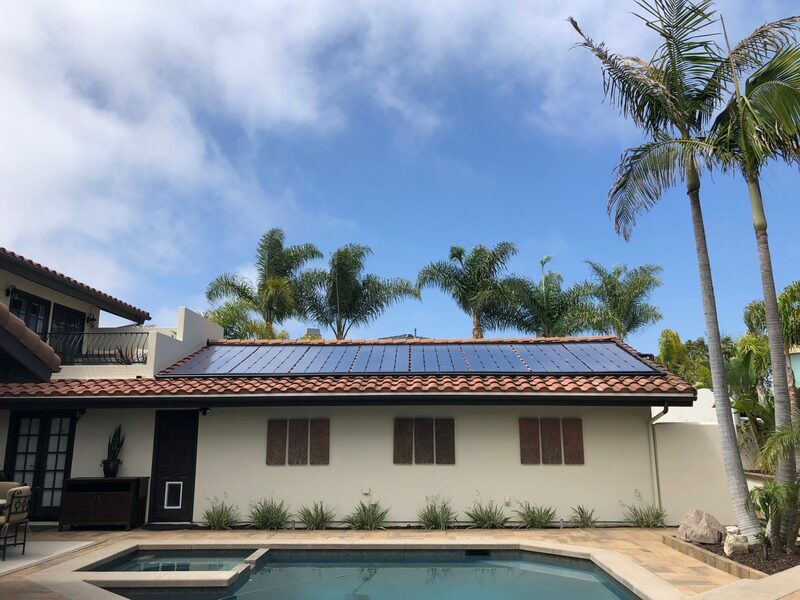 If you’re interested in investing in a solar pool heater, then take a look at our heating systems that service both residential and commercial pools. We offer a range of solar pool heater solutions that suit different needs, budgets and aesthetic ideals. Take a look at our Heliocol, SunStar and SunValue ranges today to get an idea of how solar energy could heat your pool. For more updates from UMA Solar, you can follow us on Facebook today!